Here is a recipe that is made regularly in most Kannada homes. It’s a great way to up-cycle leftover rice. Are you a regular rice eater? you would understand what I mean. Even if rice is part of your diet occasionally, we all tend to have some of it leftover don’t we? 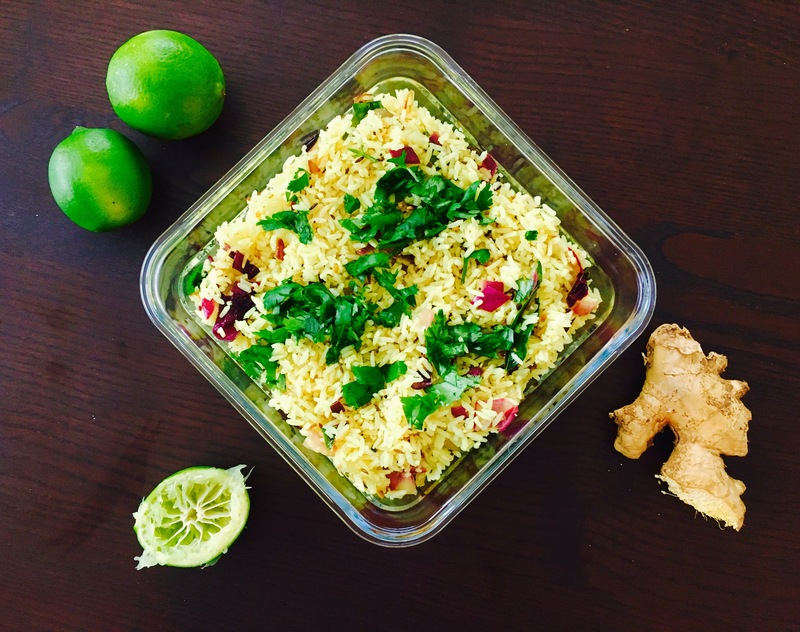 Don’t be fooled by the name, this recipe uses Indian limes instead of lemons! Prep Time: 5 mins. Cook time: 10 mins. Start by finely chopping chili, red onion, grate ginger. To a wok on medium heat, add oil, once hot add asafoetida, cumin seeds, mustard seeds and curry leaves. Once the splutter and release aroma, then add grated ginger, peanuts, red onions and sauté till the onion is translucent. Add turmeric, season with salt and bring the heat down to the lowest possible. Add the rice and mix well. Taste to check if the seasoning is right, make any necessary adjustments. Add the juice of a whole lime, turn the heat off and sprinkle with chopped fresh coriander. Mix well and serve hot. Tip: It always helps to use leftover rice for this recipe as it holds its shape well and tastes and presents well too! My all time favorite !! !